It was said that AIT was barred from covering Buhari's meeting with ambassadors few days ago, then APC released a press statement saying all media houses can cover activities. But just as that was being discussed, Buhari came to deny instructing his aides to ban AIT from covering his activities. 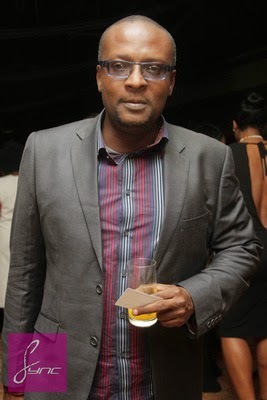 Well, Social Critic blogger and Nollywood producer, Charles Novia had this to say about the saga. I think he realised quickly that the 'testing of waters' he did with the AIT issue was going to boomerang on him if not nipped in the bud. I use the phrase 'testing waters' because I scarcely believe that any of his aides would have the guts to step outside their details to unilaterally ban AIT without carrying out their orders from their principal. And the person quoted in the saga was Garba Shehu, Buhari's media spokesman! How did Garba become a boss unto himself to issue an order if he wasn't cleared by the Oga himself? The best thing Buhari should do, if indeed he wasn't privy to the decision, is to immediately sack those who caused him that embarrassment so that others in his team would learn from that. However, I appreciate that GMB has somewhat clarified his stand on the matter. And even more appreciated is our collective stand on the matter that no impunity on the Press in any coloration will be tolerated in the next government. The Freedom of Information Act is very much a Law of the land and we will uphold constitutional guarantees to our rights of expression. Whereby any media outfit errs or is perceived to have erred, the laws are there for sanctions through the legal system.